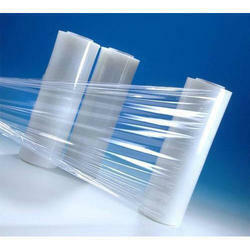 We are a leading Manufacturer of flexible packaging film and baffle liner from Indore, India. We bring forth our clients a quality range of Flexible Packaging Film Our products are highly demanded by the clients for its easy maintenance and high strength. Our products stand on different quality standards set by the industry and are suitable for packaging various material that. These products are made under the supervision of our skilled professionals, who manufacture them as per the guidelines provided by the clients. Baffle liners are designed to maximize storage and transportation space. A Baffle liner makes IBCs, like bulk bags or Gaylord boxes, more square and stable. The liner is form fitted to the outer container and utilizes internal baffles to prevent the outward push of the dry flowable materials being packaged that could otherwise result in a rounded package that wastes space on the pallet, in a truck or in an container. The baffles help the container to retain its cubed shape while the outer container provides protection from puncture or abrasion. 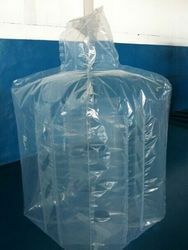 A baffle liner is often used instead of baffled bulk bag when cleanliness is a top priority as well as stability and space economy. The form-fit baffle design liner provides high package performance and can reduce storage and shipping costs and in some cases can reduce the cost of the outer package as well.